As you will be aware by now, my liking for the musical, Wicked, has pretty much turned into an obsession with me going to see it on Tuesday for the third time in under two weeks. Yep, call me crazy. 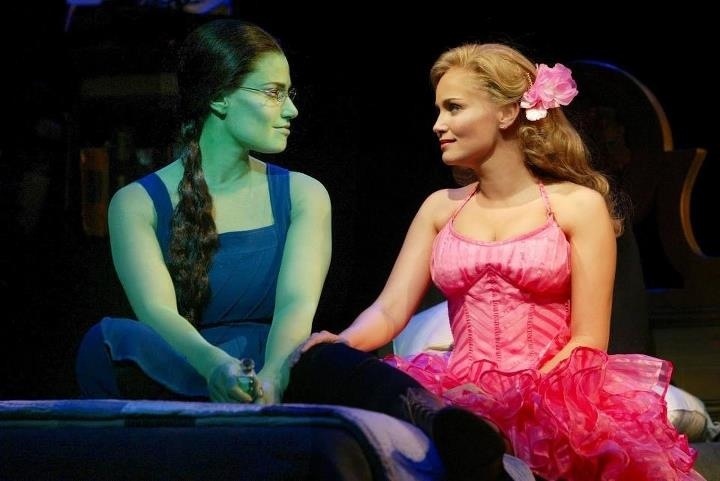 Wicked is an incredibly popular musical which stars two witches; Glinda and Elphaba. In this post I will be describing how I achieved the following looks and how you too, can apply a Wicked inspired look whether you are going for a Elphaba or Glinda look. Pretty soon, you'll be defying gravity with either of these looks. 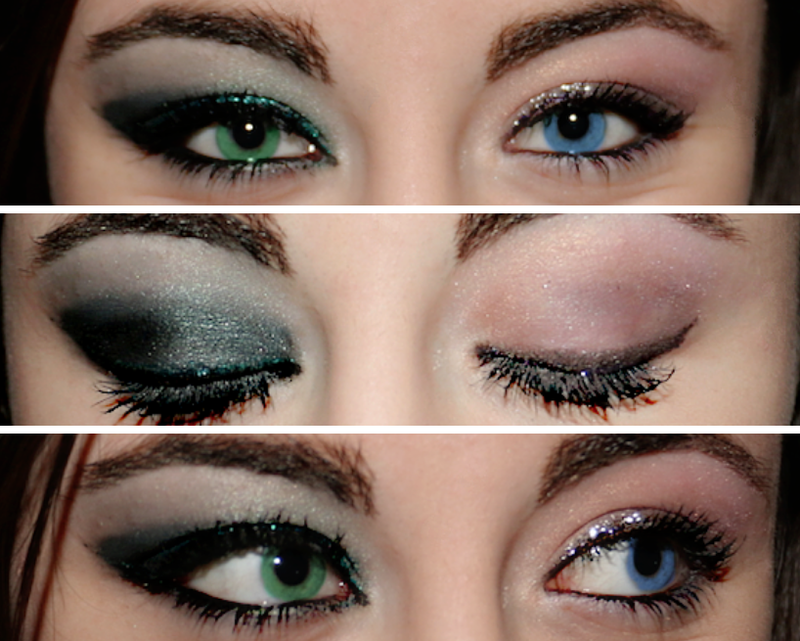 Steps to achieve the Elphaba inspired look as shown on the left eye above. First, I prepped the whole eyelid with a primer. I used the 'Along Came Betty' Pri-Eye-Mer that I picked up for something like £2 from Tesco as they were getting rid of the product. It is usually £5.99 so was obviously a good buy therefor bought a couple. This helps the eyeshadow glide on more smoothly and enables a longer lasting affect. Add depth and darkness. From the outer corner of the lid up to the outer corner of the crease, lightly pat on the dark brown/black eyeshadow. The heaver it is, the more dramatic. Frame your eyes. I used liquid eyeliner in black and drew a thin line close to the upper lashes and added a classic cat flick. You do not have to do the flick if you are not too confidant at it, but it does help to frame the look. I then used the green Urban Decay glitter liner and dabbed the glitter on just above the eyeliner right to the end of the cat flick. I found that this made the look more magical and draw attention to the magic of Elphaba and her powers. Line the eyes. At this point I went back to the medium green and lined the eyes under the lower lash line half way, then switched to the lighter green and lined the inner half. This just helps to emphasise the shape of your eye and complete the look. I also just went over the water line with a black eyeliner pencil to add definition. Finally, apply mascara (and curl lashes if you do that). Also you can fill in your brows which will frame your eyes and also because Elphaba's eyebrows is one of her main features along with her hair and more obviously, her green skin. 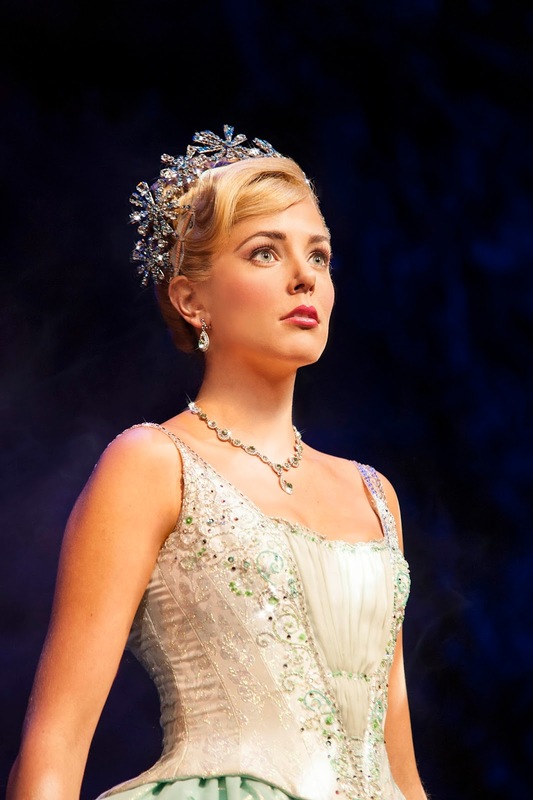 Steps to achieve the Glinda inspired look as shown on the Right eye above. First, I prepped the whole eyelid with a primer. 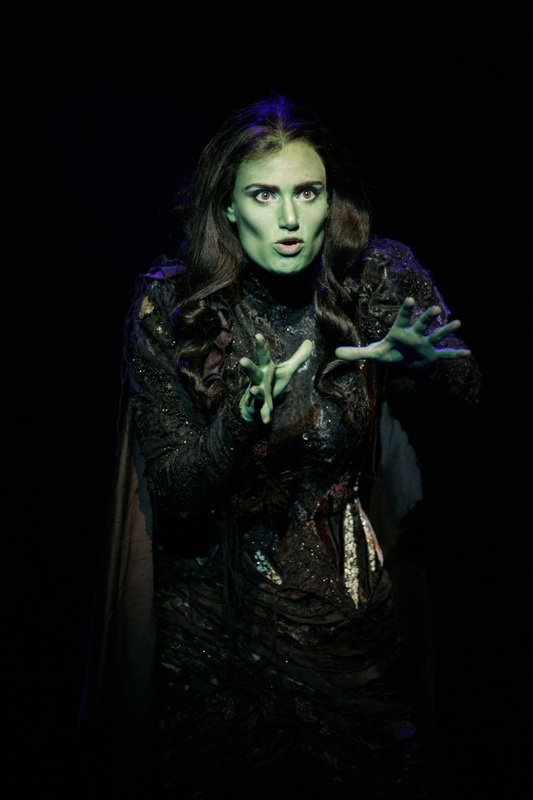 I just done the exact same as in the Elphaba look, using the 'Along Came Betty' Pri-Eye-Mer. You will now need three eyeshadow colours for this look - a light yellowy pink, either a light or medium pink and a light purple. Start by patting on the yellowy pink all over the lid right up to under the brow. Then go over the lid to just above the crease with the pink. Try keeping it light in the inner corner of the eye but slightly heaver on the outer corner. Add definition. From the outer corner of the lid up to the outer corner of the crease, lightly pat on the light purple eyeshadow lightly. 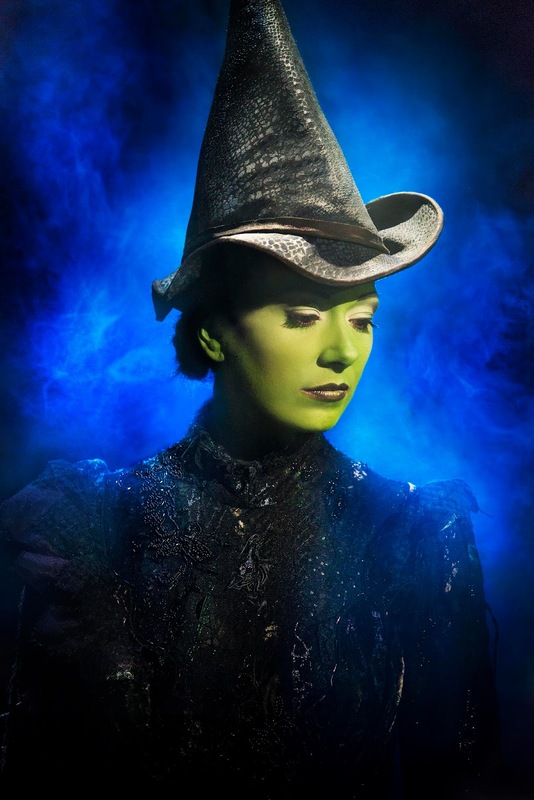 Watch out that you don't apply too much as we want to keep this look rather light unlike Elphaba's look. Frame your eyes. I used a brown eyeliner pencil and drew a thin line close to the upper lashes and added a small classic cat flick. I didn't use black as I felt that it would make the eye's look more dramatic and overall making the the look rather heavy. Just like before, you do not have to do the flick if you are not too confidant in doing so. I also used the Urban Decay glitter liner again but instead in pink and dabbed it on just above the eyeliner right to the end of the cat flick. 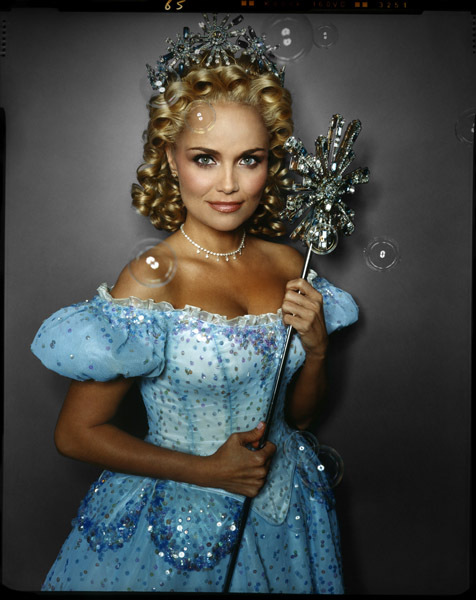 I think that this made Glinda's look more magical and fairy/witchy like. Line the eyes. I actually used a white eyeshadow and lined the eyes under the lower lash line. This just helps to keep the look light as well as completing it. I went over the water line with the brown eyeliner pencil to add definition and show the shape of the eye. Finally, apply mascara (and curl lashes if you do that). You can also fill in your brows if you wanted to, but don't over do it as Glinda has quite soft eyebrows to match her makeup. I hope that you liked these Wicked inspired looks - they are also quite Christmassy too. Which is your favourite inspired look? I think mines is Elphaba's.